​The U.S. Veterans Motorcycle Club was founded in 2007 and has continued to grow into a nationwide club of brothers and sisters that have served their country with honor, ride motorcycles and desire to continue serving our nations heroes, past and present. The Massachusetts State Chapter was formed in 2013 and is a 501(c)(3) charitable organization committed to the betterment of veteran causes and the motorcycle community. The U.S. Veterans Motorcycle Club is not affiliated with any other Motorcycle Club and is dedicated to the veteran, including remembrance of the sacrifices by those who gave all and for those that still struggle today. Our oath of enlistment has no expiration and we abide by a set of by-laws and live by a code of Brotherhood that we do not hold lightly. If you have served your country honorably, want to join a MC solid in its ideals, void of individualism and whose members share instinctive camaraderie.....if you want to ride hard and help veterans....if you want to wear colors that make you proud - talk to your local U.S. Veterans Motorcycle Club about joining our ranks. The U.S. Veterans Motorcycle Club is comprised of members from all branches of Service. 1. To promote and enhance the true sense of Brotherhood that we once shared while on active duty. 3. To establish and support a strong sense of pride in having served our country. 4. 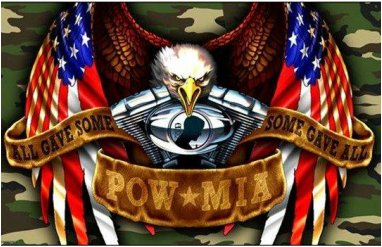 To improve the image of Veterans and Bikers to the general public. Club meetings are open to guests and are held on 1st and 3rd Tuesday night at 1830hrs at the VFW Post 1385 in Uxbridge, MA. If you would like to attend or learn more about us, please use the Contact USVMC page on this site for more information.